Members of the United Nations civil aviation regulator representing 191 countries have agreed on a deal to reduce greenhouse gas emissions from passenger and cargo airplanes, a major contributor to humanity’s carbon footprint that was excluded from previous climate-change accords. The agreement, concluded by the International Civil Aviation Organization in Montreal on Thursday, will cap carbon-dioxide emissions from international flights at 2020 levels, The Wall Street Journal explains, and airlines that exceed those limits will have to purchase carbon-offsetting credits. The U.S., China, and other major polluters have committed to participating in the agreement from its outset in 2020, but the program will remain voluntary until 2027. The ICAO expects the program to cost airlines anywhere from $5.3 billion to $23.9 billion in 20135. 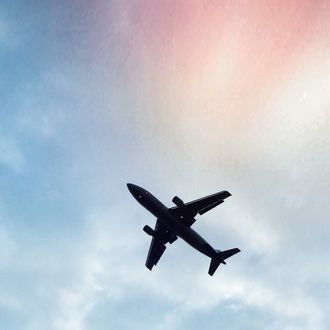 Aviation currently accounts for 1.3 percent of global greenhouse gas emissions, but that figure is projected to skyrocket in the coming decades as air traffic increases, reaching as much as one quarter of all emissions in 2050. Other environmentalists expressed hope that the agreement, though imperfect, will begin to move the aviation industry in the right direction.